Purchase all 4 and save. See Bundle pack. Teenage runaways from all over of the country are recruited to make a fantastic voyage to an entire continent that the world has still yet to discover. A world run completely by teenagers! A world called Child’s Island. Andy (who appears to be in his teens, although claims to be much older) recruits them and organizes a trip, promising if they go with him they’ll never have to return home to their family problems and abuses. Each runaway has their own talents and abilities, including leadership as he puts one of the teenagers in charge making him “Captain”. He gains their trust by introducing them to the Kid Power, a super sophisticated boat that the teens easily figure out is way too technologically advanced to have been built here. The runaways embark on a journey that is not going to be anywhere as easy as Andy had promised. As super equipped as their ship is they will be open to attacks, temptations and loss. Once they reach Child’s Island, the story only begins and so does the explosive action! 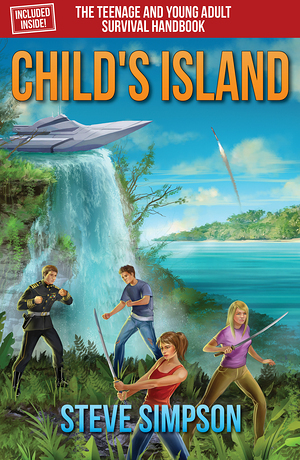 Child’s Island is having its own problems and the adolescent crew gets caught right up in it. Suddenly alone with no guidance they will battle conspiracies and have everything from sword fights to high tech battles, trying to protect themselves and engaging in a daring and impossible rescue mission. Even their world will be endangered by the events on Child’s Island. Just like the characters in Child’s Island that ran away from abusive and dysfunctional homes, there are many teenage and young adults that live with these problems today. The Teenage and Young Adult Survival Handbook directly deals with child abuse, alcoholism, suicide, bullying, self-esteem, and coping with dysfunctional homes, while giving suggestions of how to get help and hope.